Miami | Nason, Yeager, Gerson, Harris & Fumero, P.A. Miami Government, Business and Real Estate Law Firm – Nason Yeager Gerson White & Lioce, P.A. The community of Miami, FL has considerable consumer, business and government legal needs that must be protected so the area can continue to grow and prosper. The Miami Law Firm of Nason Yeager provides 12 legal practice areas to protect and resolve the legal rights of Miami families, businesses and local municipal government and throughout the state of Florida. To arrange an attorney consultation call our Palm Beach Gardens Law Office at (561) 686-3307 or our Boca Raton office at: (561) 982-7114. Or attorneys routinely visit and service our clients in the Miami – Dade area. Miami Estate Planning services is an important way to make sure the distribution of a person estate is handled in the manner they desire and with the least amount of stress on the surviving family. Nason Yeager can draft your last will and testament and health care directives, as well as, create a variety of trusts to meet you and your family’s specific needs. After a person passes our law firm can serve as personal representative or trustee to make sure that the estate settlement process proceeds efficiently. We can also advise others who serve in a fiduciary capacity to help keep them in compliance with important state statues and federal laws. If there is a serious issue regarding the estate administration we can represent clients in estate litigation to make sure they interests are protected. Each person estate is unique; the law firm of Nason Yeager provides you with a custom estate plan than meets you and your family’s needs. Nason Yeager has earned prominent reputation in serving the Miami community in family and marital law. Divorce can be an extremely stressful process, our legal professionals can minimize the burden on you and your family. Our law firm can represent parents regarding child custody matters or guide you through adoption proceedings. 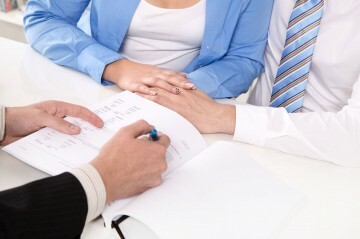 Nason Yeger can draft prenuptial agreements and deal with post-divorce modification proceedings. Our lawyers have the care and legal skill to bring these difficult matters to conclusion. People spend a lifetime building financial or businesses assets, it is critical that legal strategies are implemented to help protect and preserve this wealth from risks. Our lawyers pay close attention to state and federal laws that protect the rights of creditors in developing and implementing strategies to protect assets. Nason Yeager will give you alternative legal strategies to preserve your wealth for you and your family. Nason Yeger can serve as general counsel for a city, county or municipal authority in Miami or in any jurisdiction in Florida. Our law firm has extensive experience with; litigation, government tribunals, rule challenges, bid protests and professional licensing. We have also represented clients in disciplinary cases before state and federal agencies. Over our 50 year history, the Nason Yeager law firm has played an important role in the development of important federal and state laws and regulations. Nason Yeager provides legal services to public and private utilities in Miami Dade County area and statewide in Florida. We can guide your utility project through the planning, financing, permitting, construction stages of its development. After completion we can provide ongoing regulatory compliance and guidance throughout the life of the utility. Our law firm can also provide legal counsel during the sale of a utility service or when the purchase of a utility is contemplated. The Nason Yeager business legal team offers a variety of business formation strategies including; Sole Proprietor, Partnership, Incorporation, Limited Liability Company or other form of ownership and operating. We work with a variety of enterprises from large corporations to closely held businesses to venture capital start-ups. If expansion is a goal, we can assist in debt or equity financing through public offerings or private placements. We have substantial experience dealing with joint ventures, asset purchases, mergers and acquisitions. When a business owner is looking to monetize their company we can produce a legally sound sales agreement which can provide a favorable path to retirement. Building a Miami based company can be a substantial investment of capital, effort and time. In today’s litigious world having an experienced law firm close by can protect the company from needless claims. Nason Yeager clients have the peace of mind that when a crisis arises our team of litigation attorneys can guide a course in the best interest of the enterprise. In some cases a negotiated resolution is the best alternative, in other circumstances, taking the case to trial is the best remedy. We also have considerable legal experience dealing with federal and state authorities on a variety of matters including the Internal Revenue Service and State entities that may make a claim on the company. The law firm of Nason Yeager has significant securities law experience. We have advised clients in public offering of both debt and equity securities and private placements. We understand federal securities laws and have lengthy experience in dealing with the Securities and Exchange Commission and state authorities. We have worked with fast growing venture capital startups in a variety of industries. Our team or lawyers can provide ongoing legal compliance for public companies that need to prepare annual reports, 10k and 10q filings with the SEC. Our team has help raise hundreds of millions of dollars of capital for business in Florida and beyond. Nason Yeager offers a broad variety of legal services to the vibrant Miami real estate sector. F handle Naples real estate legal issues luxury residential homes, retail, office, hotel, restaurant, medical, mixed-use, industrial, marina, and office-condominium properties. For residential consumers we can provide title search services. Our firm is a title insurance agent for Title Fund Services, Inc. and Fidelity National Title Group. We can establish bank loan workouts, deed in lieu of foreclosure arrangements or handle friendly or contested foreclosure. For real estate investors and developers we can implement; 1031 exchanges, business zoning changes and variances, land use, permitting and development issues, including review of plats, site plans and developments of regional impact issues. Nason Yeager counsels landowners, developers, and local governments in Miami and throughout Florida on all aspects of land use and development. We have a unique legal understanding of environment law. Our team of lawyers has considerable experience in dealing with environmentally impacted properties, including chemical spills and Superfund properties. The Law Firm of Nason Yeager counsels Miami f health care providers in navigating complex state and federal laws and regulations. We also work with health care businesses in matters facility licensing, physician contracting, mergers and acquisitions of health care facilities and integrated practice models. We have worked with large multi-specialty physician groups, medical equipment manufacturers and clinical laboratories. If you practice in the medical care sector call our Nason Yeager team for a consultation. Nason Yeager represents lenders in documenting and closing of commercial and residential loan transactions, construction and mezzanine financing. Our firm also represents lenders regarding loans in default, foreclosure or distressed real estate that require loan workout strategies. Miami is Florida’s most widely acclaimed residential, business and tourist destination. Miami’s metropolitan area is the eighth-most populated and fourth largest urban area in the United States. The greater Miami Dade area has a population of approximately five and a half million residents making it the largest city in population in Florida. Miami has the third tallest skyline in the U.S. with over 300 high-rises. Downtown Miami is home to many multinational banks in the United States, and many large national and international companies. The Port of Miami is known as the Cruise Capital of the World. It accommodates some of the world’s largest cruise ships and is the busiest port in both passenger traffic and number of cruise ships. Miami’s rich Latin culture makes the city a favorite destination of affluent visitors from South America and beyond.